Scientists discover that strange hobbits were not shrunken versions of humanity’s ancient ancestor, Homo erectus. H. floresiensis, or the “Flores hobbit”, was only found in 2003, when researchers on the Indonesian island of Flores unearthed the remains of a previously unknown member of the human family. At only a metre tall and weighing 25 kg, this new addition to the Homo genus was thought by many to be a spectacularly divergent example of early humans. Although researchers initially claimed it as a new species, controversy soon erupted, with many contending that H. floresiensis was actually a specimen of a modern human with pathological deformities. Beyond this, among those who accepted H. floresiensis as a new species, there was debate over when it evolved and how it fit in with other known species. The consensus to date has been that H. floresiensis lived at the Ling Bua site until 54, 000 years ago and evolved from H. erectus, the only other hominin known to have lived in the area. The new study, conducted by Debbie Argue and Colin Groves from the Australian National University and William Jungers from Stony Brook University in the US, now looks set to rewrite this hypothesis. The team focused on the structure of the jaw, something that Groves claims previous studies neglected. “The superior transverse torus and inferior transverse torus,” he says, “are found in very muted form if at all in Homo erectus and Homo heidelbergensis, and not at all in Homo sapiens, but are very large in Homo floresiensis and Homo habilis.” This is the key to the revised version of H. floresiensis’ evolutionary history. 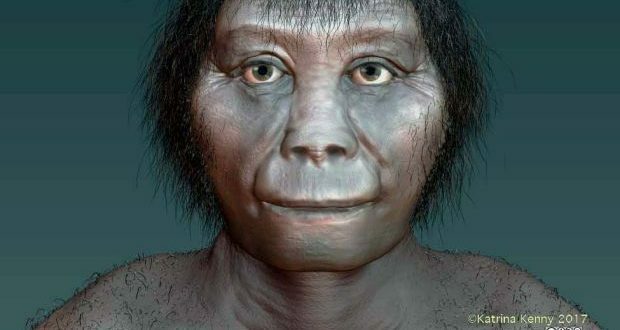 Instead, the researchers posit that the Flores hobbit is most likely a sister species to Homo habilis, one of the earliest known members of the genus, and speculate that H. floresiensis might even predate it.